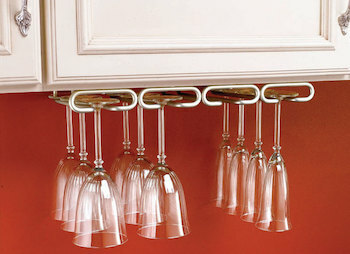 Rev-A-Shelf Stemware Holder. Features heavy gauge wire construction and a hidden mounting plate. Easy to install. Four 11" racks hold up to 12 glasses. 4-1/4" W x 11" D x 1-1/2" H. Oil Rubbed Bronze finish.